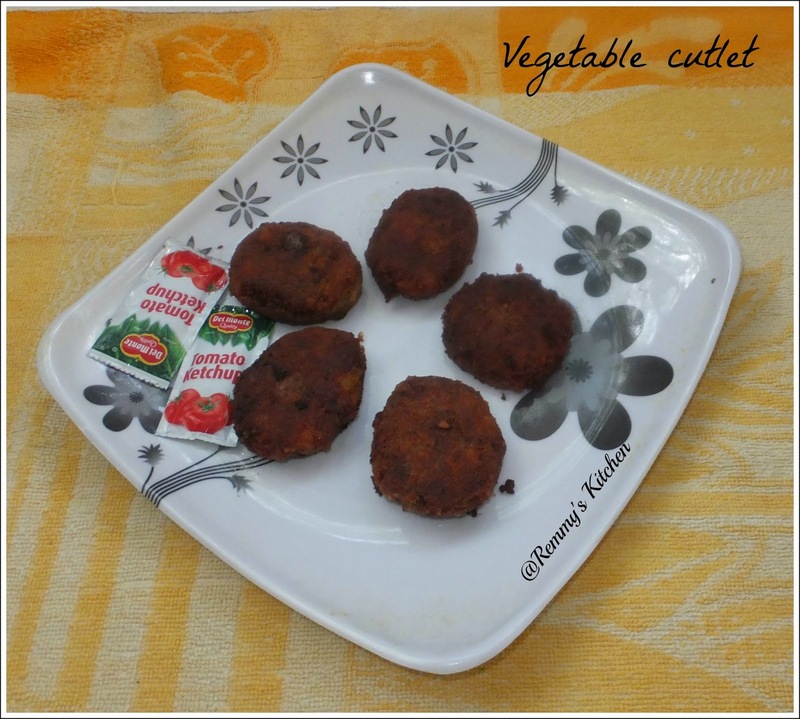 yea.. this time I'm with bakery style veg cutlet recipe.Veg cutlet ,tomato sauce , and a hot coffe...reminding me my college days....Here is the recipe for Kerala bakery style vegetable cutlets..
Chop all the vegetables and cook it with salt.Cook till all the water gets evaporated.keep aside.Heat a pan with oil and add fennel seeds.Let it splutter.Now Add chopped onion and green chillies.Saute it well till the onion turns golden brown.Now add ginger garlic paste and saute it well till it leaves the raw smell. Add coriandr powder,garam masala powder and turmeric powder.Mix it well.Add cooked veggies.Now add mashed potato and mix it well.Let it cool. 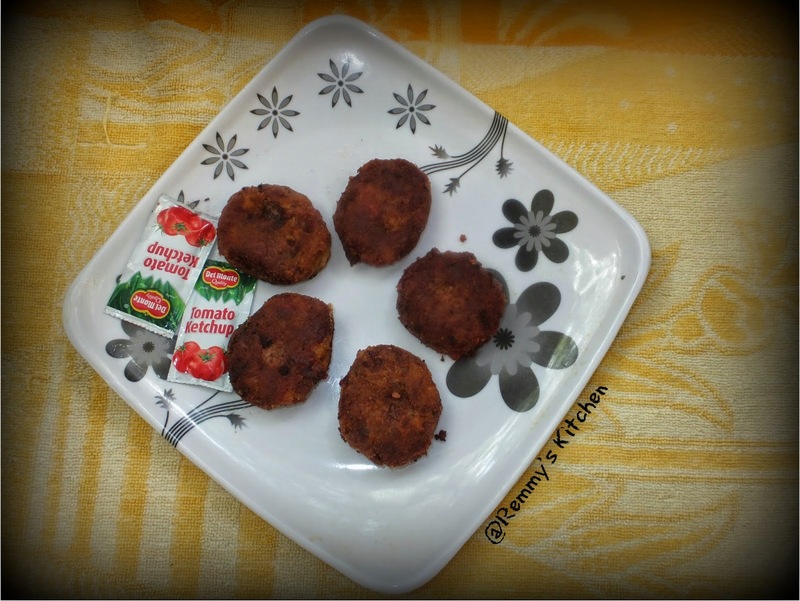 Take small amount of vegetable mixture and make balls.Slightly flatten each balls with your finger and dip it in to the maida paste/egg white.Now roll in bread crumbs to form an even coating. I used 1 medium carrot,medium beetroot and few bean.You can add any veggies of your choice. It is better to deep fry the cutlets .I shallow fried it but more oil came in cutlets. I used egg white only.You may mix egg white and maida or maida alone. Thank you Tara for stopping here. I love cutlets and this looks so yummy! Very well explained Remmy.. Thanks for the recipe.. I see potatoes as one of the ingredients and I certainly give these cutlets 100% thumbs up. cutlets look so good. Love them anytime.